UPDATE: August 21, 2017 The United States and North Korea have been heaving insults and threats at each other at an alarming rate. Americans are under the impression that a war with North Korea would be a very short-lived event, with North Korea’s military machine being virtually destroyed in days. They seem to forget that in 1950, we felt the same way – and that war has never ended to this day. We did not win the war against North Korea – we called it a draw and walked away. 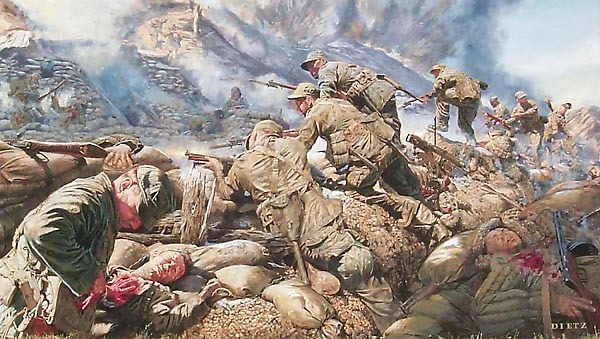 And in 2013, North Korea pulled out of that armistice – leaving the two sides in a virtual state of war already. The Chicago Tribune quoted an unnamed official from the South Korean Defense Ministry today (Sunday, August 23, 2015), who confirmed that more than 50 of North Korea’s 70 submarines and undersea vehicles have left their bases, and were undetectable by the South Korean military as of yesterday (Saturday, August 22, 2015). In addition, the official stated that the North has also doubled the strength of its frontline artillery forces. 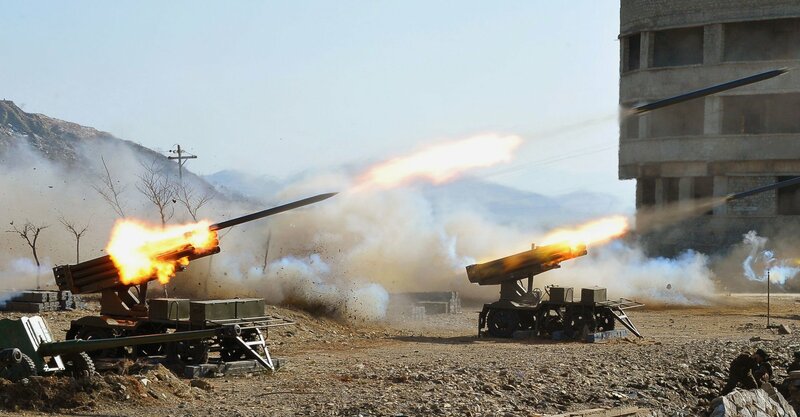 This Northern military ramp-up came as a result of a standoff which began earlier in the week when land mines on the southern side of the demilitarized zone between the Koreas exploded, injuring two South Korean soldiers out on routine patrol. Seoul says they were planted by North Korea. In response, the South resumed anti-North propaganda broadcasts using loudspeakers at the border – the first in 11 years, infuriating the North, which is extremely sensitive to any criticism of its dictatorship. Senior officials from North and South Korea quickly set up a round of marathon talks, now into their second day today (Sunday, August 23, 2015), in order to pull back from the brink of an all out war, even though Seoul states that the unusual North Korean troop and submarine movement indicated battle preparation. After an exchange of fire with South Korea, North Korea ratcheted up the rhetoric as the latest skirmish between the two nations intensified. North Korean troops along the border completed preparations and “entered into a wartime state,” the official Korean Central News Agency said Friday. On Thursday, Kim gave South Korea 48 hours to stop broadcasting propaganda across the demilitarized zone or face further attacks. Why does all this matter? We have heard all three Kim leaders constantly threatening war with the South. Yet, this incident is one of the most serious since Kim Il-Jung became Supreme Leader 3 1/2 years ago and began consolidating power through a series of purges and provocations against the South. The uneasy truce between the two Koreas has been periodically disrupted by exchanges of fire that peter out before they turn into anything more serious. Still, North Korea’s unpredictable nature keeps tensions high. North Korean soldiers training in an undisclosed location in this picture released by the North’s official KCNA news agency in Pyongyang in 2013. This would be a good place to remind our readers that, unlike the weak-kneed, secretive regime with a nutty dictator that the Western media would like to paint North Korea to be, the reality is far different. Not only is North Korea rumoured to have tested nuclear weapons, but they also have huge stockpiles of chemical and biological weapons. , making it the 4th largest military organization on Earth (Crisis Watch Network). North Korea’s last major lethal weapon, according to Harry J. Kazianis, writing for The National Interest, is its cybermilitary abilities. 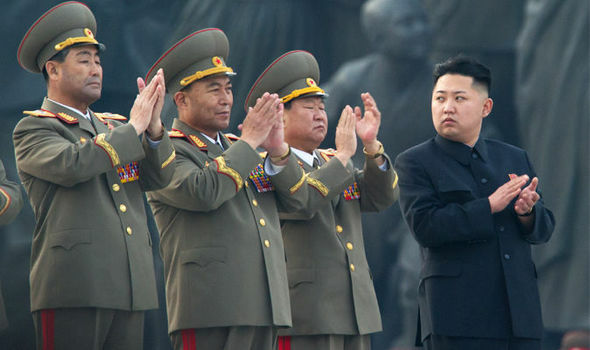 Little is definitively known about North Korea’s cyber-army and its capabilities. But this army has proved extremely adept. 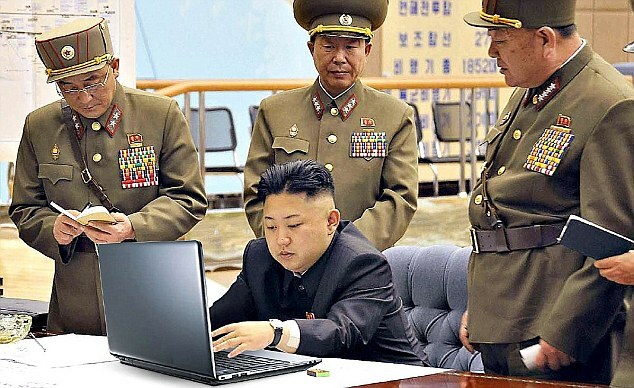 The US has blamed and sanctioned North Korea for the massive hack of Sony in December 2014. Additionally, South Korea blamed Pyongyang for cyber=attacks against a nuclear reactor in the country in December 2014. The security and safety of the South Korean people have been paramount to North America since the Korean War, and with good reason. First, there’s the unfortunate geography—the opponents’ capitals are just 120 miles apart, with Seoul within 35 miles of the nations’ shared border. The numbers only get worse, with estimates of as many as 13,000 artillery pieces positioned along that border – making the North Korean artillery arsenal the largest in the world – many of them within range and presumably aimed directly at Seoul, one of the world’s most densely-populated cities. Factor in the rate of fire of all those suspected artillery batteries, and throw in the potential launch of hundreds of missiles, and it’s easy to conclude that if North Korea is pushed hard enough, the result could be “the destruction of Seoul”, as the New York Times put it in an October 2014 article. The nightmare scenario has been around for awhile. Pyongyang launches a massive artillery barrage on Seoul. The chaos that would result would be massive. Imagine millions of people flooding out of one of Asia’s largest cities. If one wanted to induce sheer panic and hence help your invasion strategy, this would be an effective way to do it. But this story doesn’t just end with the news this week that the two sides of stood down and backed away from the threat of war. 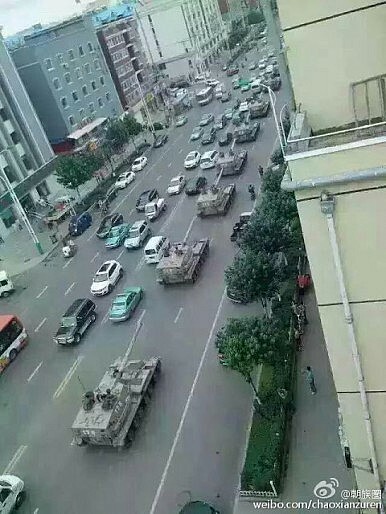 A virtually unreported portion of the story is shocking enough to warrant mention here: On Saturday, August 22, 2015, Chinese social media users began posting pictures of tanks and other military equipment moving through city streets. The photos were purportedly taken in Yanji, the capital of Yanbian Prefecture in Jilin province, which lies along the China-Korea border. That’s right folks – the People’s Liberation Army of China was amassing on the borders of North Korea. To send a message? 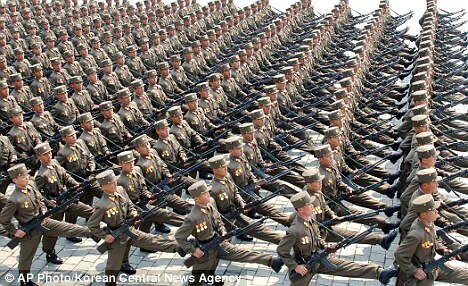 To assist North Korea with a possible military campaign against South Korea? Or to protect their own borders against a potentially unstable North Korea? We’ll never know. The Chinese government made no comment on the military buildup, and social media sites went silent in China on the issue.